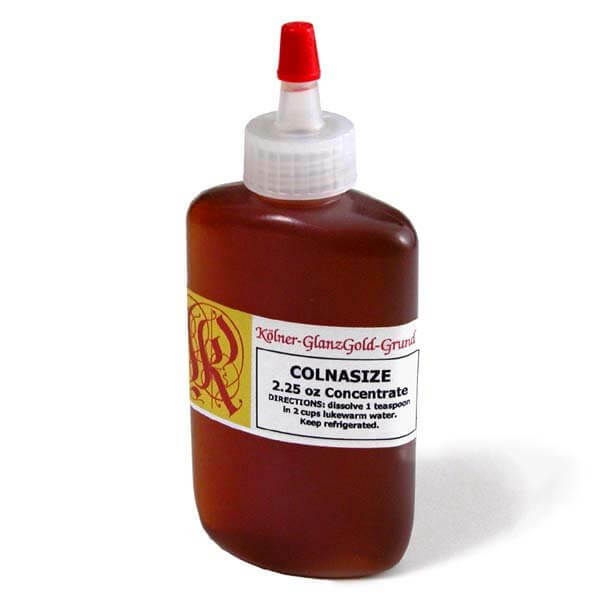 Kölner Colnasize Concentrate is an easily to prepare size/adhesive for the adhesion of metal leaf to Kölner Insta-Clay and Burnishing Clays. Dissolve one measured teaspoon in two cups of lukewarm water to make a "gilders' liquor." Use with Kölner-GlanzGold-Grund (KGGG) burnishing clay.